I saw my personal physician several times and had gone to the local urgent care for steroid shots when I could not bear the pain any longer. I had x-rays taken and they found that I had bad arthritis. I was prescribed a pain killer, muscle relaxer, and an anti-inflammatory. None of it worked! In fact, I ended up going to the hospital later with severe stomach pains which ended up being an allergic reaction to one of the medications. The hospital ran several tests and found nothing conclusive. They discharged me with an even longer list of prescriptions. The day I was released I spoke with my 68-year-old, Vegan, and extremely healthy mother about this. Her reaction was, “No way! Food is Medicine! Do the research and do NOT fill those prescriptions!” So, I did a ton of research. My research led me to believe that I needed to include Turmeric in my daily regimen and to go on an anti-inflammation diet. 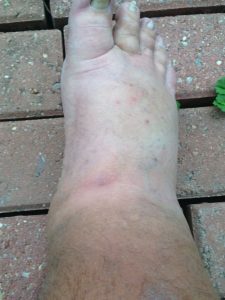 Within 3 weeks, all the swelling was gone and I started to feel better. I also started rapidly losing weight (You can read about that here). Did you know that inflammation is the common link between conditions such as Alzheimer’s, heart disease, cancer, and arthritis? Inflammation is your body’s response to stress. 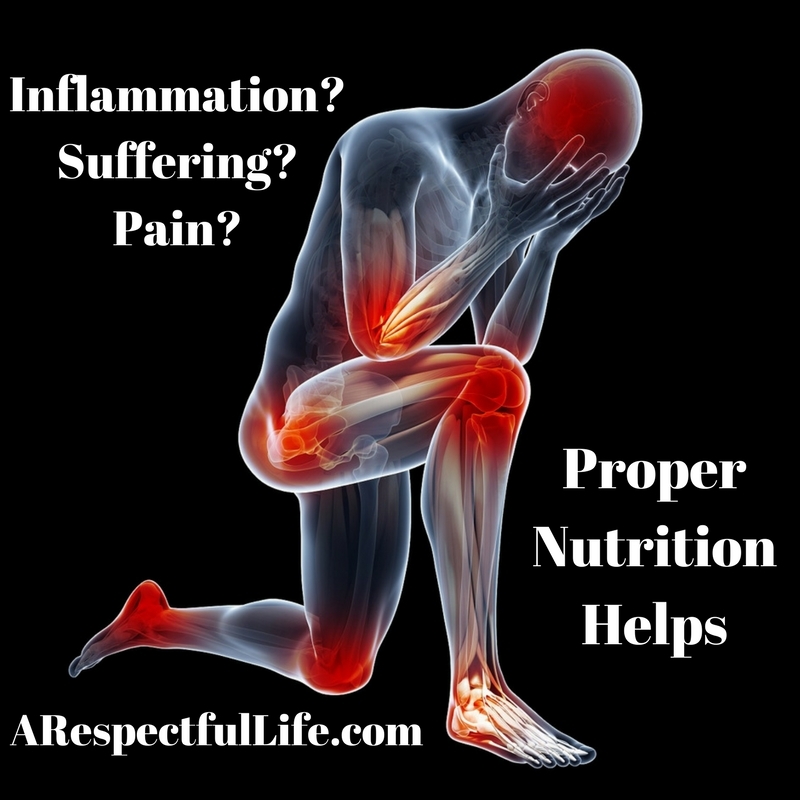 If you suffer from back pain, hip pain, joint pain, arthritis, chronic pain, headaches, inflammatory bowel disease (IBD), swelling, Edema, or fluid retention, then perhaps an anti-inflammatory diet is for you. If you are depressed and often fatigued, you may have an inflammatory condition and an anti-inflammatory diet may be right for you. Please note that this is not medical advice. Often inflammation is a sign of a serious underlying condition. If you are concerned about your pain or inflammation, please see your doctor! Inflammatory conditions are not to be taken lightly so I encourage you to seek medical help to diagnose your condition. Treating conditions and ailments from the inside out with proper nutrition is always the best course of action. If you want to feel better, you must eat better. Tip: STAY HYDRATED! Some experts say that over 75% of people are chronically dehydrated which leads to your body becoming too acidic and thus inflamed. Drinking water with lemon and lime in it also has tremendous health benefits. Not only is citrus fruit a great anti-oxidant, the potassium and magnesium will help rejuvenate tired muscles. It is not possible to alkalize and cleanse bodily tissues without proper hydration. Dehydration will also cause pain! -SALT! And foods high in sodium. -Soda and other sugary beverages. -Red meat, pork, and processed meats (like hot dogs and sausage). -Refined flour (including white pasta, bread, crackers, and many cereals). -Margarine, shortening, and lard (saturated fats). -MSG / Monosodium Glutamate (a flavor enhancer in many foods). -Leafy greens, spinach, and kale. -Omega 3 fatty acids (found in walnuts, wild rice, flaxseed, avocado, and soybeans). -Ginger, Cinnamon, and Cayenne Pepper. Did I say Turmeric? Turmeric is the best anti-inflammatory available. Better than ibuprofen or any synthetic medication. You can mix Turmeric powder into water and drink it (although it does not taste great), or you can buy a supplement. Finally, if you are serious about following an anti-inflammation diet, check the labels on EVERYTHING that you buy. You will be surprised that fat-free often means that they added sugar for flavor and that many foods contain excess sugar, refined flour, and MSG. As always, please feel free to email me if you have questions. Previous ArticlePrevious Post: G. OughT Milk? Does It Do A Body Good? Next ArticleNext Article: What Do Gorilla’s Eat? Wow wow wow!!! Anti-inflammatory diet!!! Amazing doctor’s dont teach this, instead they give you pills!! And make you worse!! Unfortunately, the medical community is so deeply entrenched with big pharma. Often times they don’t treat conditions with proper nutrition and are more apt to write a prescription and say ‘next’. When I was in the hospital it was near impossible to get even 3 minutes with the attending physician. My doctor is also always in a rush. That is not medical ‘care’, that is more like a medical mill….. just running em’ through. Also, pharmaceutical companies are not making people well, they are making them customers! !